We have it. Your new favourite sweater. 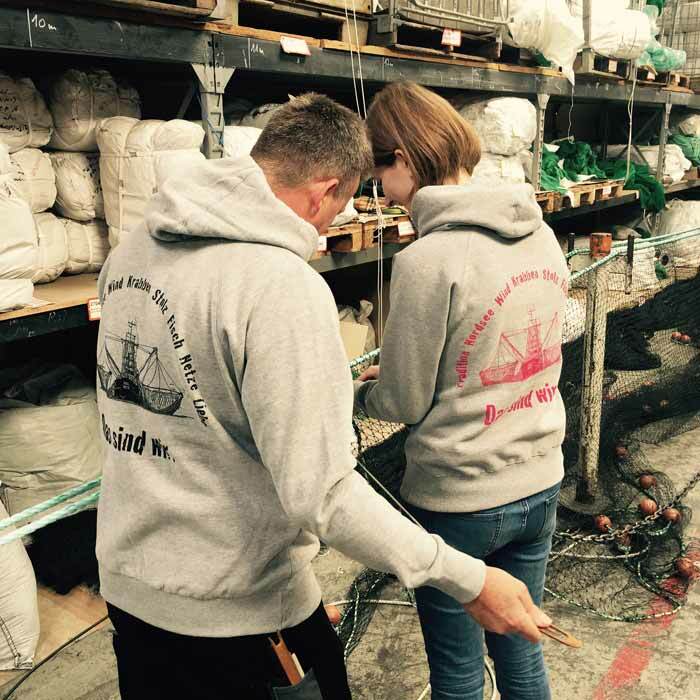 For the traditional handcraft fishery and for all those who love the coast and feel connected to the North Sea and it's fishermen. Where the wind is always blowing and the fish comes fresh out of the nets. This is what we are proud of. This is us! The fishery. We stand as one and show it full of pride. A traditional handcraft that already lasted for centuries. Our boys are at sea and operate at all weathers to catch delicious shrimps with caution and sustainability. We are proud to pursue the job as fisherman since generations and centuries and pay respect to our ancestors. The sea is at our door and provides us with all sorts of delicacies. Als Junge von der Küste finde ich die Aktion von Engel richtig gelungen. und der Pullover ist richtig gut verarbeitet und gut zu tragen. Grundens Hoodie "Fish is Good"